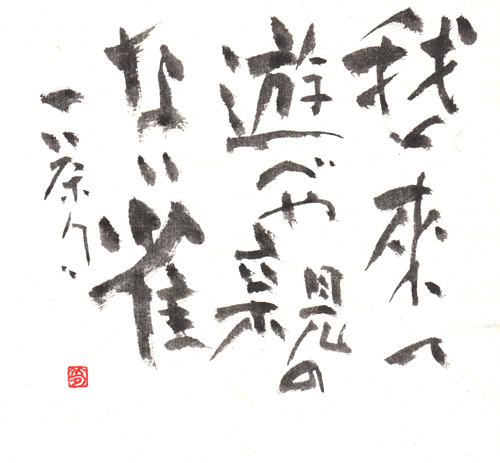 ”Sho-Aoyagi”：Japanese Calligraphy Gallery of Japanese Calligrapher Soseki Aoyagi. Haiku : Basho,buson,issa,shiki. and more than 100 works will be shown before the end of this year. By entering this On-line Sho-AOYAGI, you agree to respect the copyright of Soseki Aoyagi's Artwork and the Articles contained here within. You also agree that replicating, printing, manipulating or using the images in any other forms are Strictly Prohibited. Copyright (C) Sho-AOYAGI, All Rights Reserved.